Schedule a FREE music/reading/art Multi media event from our 911 book at your local library, school or public space! We thank LMCC (Lower Manhattan Cultural Council) for their kind grant to support our NYC Arts Book programs. 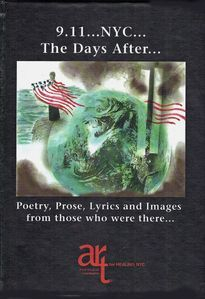 911...NYC...The Days After... is an interactive book that shares the writings, lyrics and images of local people from Manhattan, Queens, Brooklyn, Staten Island, and the Bronx of New York City, New Jersey and Long Island- all areas that experienced the devastation of the attacks of September 11, 2001. 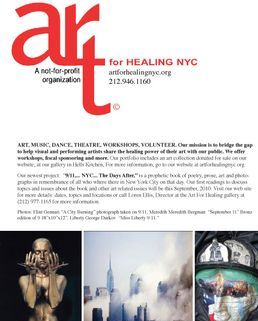 The proceeds from the sale of our 911 NYC arts books will be used to continue our healing workshops, consultations to visual and performing artists, and more. 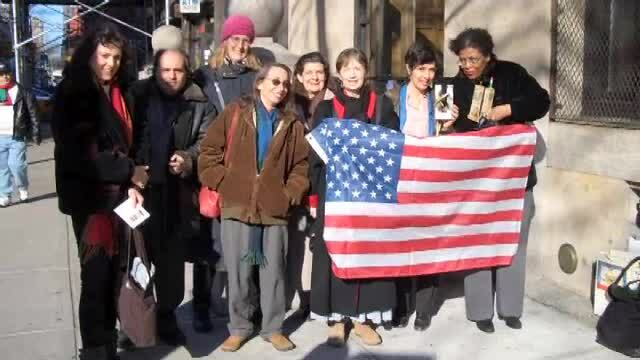 We have donated our books to NYC Public Libraries and are making them available to libraries across our country. Just a $25 donation for a book to your school or public library will go a long way! 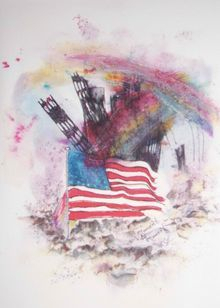 Our peace and courage historic 911 book is available here, on our website, in our gallery in midtown Manhattan, Barnes & Noble and also at the 911 Memorial Museum NYC bookstore! Below are photographs of guests and writers reading and playing their song from our 911 NYC arts book multimedia events around NYC at Museums and libraries.Please stop by our gallery to see our extensive old fashion archived photographs and letters. Moment by Moment by Connie Lampen Connie donated the entire signed and numbered limited edition to AfH. FREE When purchasing at least 2 of our 911 books ask for a signed print, while supply lasts! Talent in Motion Magazine review of our 911 NYC arts book with sample images from our book. Our ad in the New York Times Sunday magazine in the Book Section. Art for Healing NYC Org featured at the Staten Island Ferry! 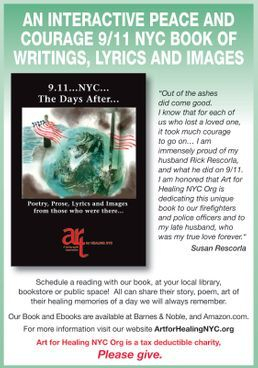 NBC Interview of Art for Healing's 911 Peace and Courage book with director Loren Ellis and Kama Linden singer/songwriter whos lyrics are included in our book. Back drop here Connie Lampen's print donation . Art for Healing NYC Org on CNN en Español featuring Angelo Romano, Ted Walner and Loren Ellis. 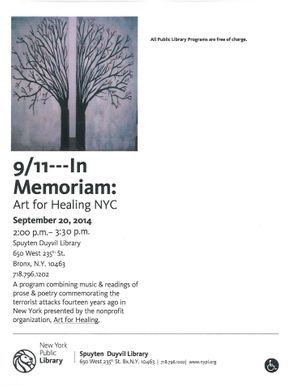 911 book reading at Fountain House International Manhattan. 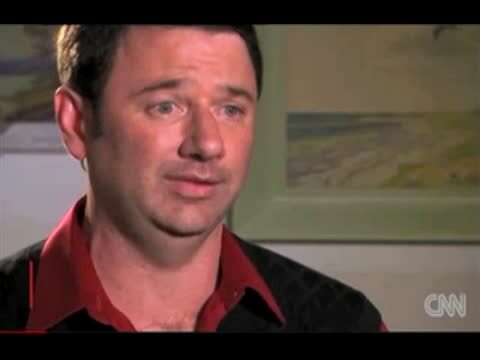 Thank you for creating this historic video of a special 911 reading and music event. 911 Book reading and live music of the lyrics in our peace and courage book. Read from our book and bring a one page poem you wrote to share!